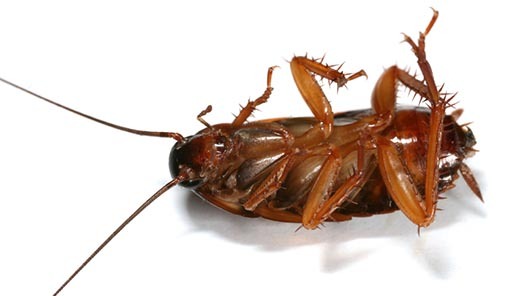 Roach Control | Bug Depot Termite & Pest Control | Serving Columbia, Irmo, Chapin and beyond. Roach infestations are basically broken down into two different types. The German Roach and the “Palmetto Bug” or more specifically the smokey brown or american cockroach, yes palmetto bugs are indeed roaches. The treatment for roaches vary wildly. German Roaches are normally inside in kitchens/bathrooms and other water surrounded areas. These Infestations can become severe if left untreated. These are the roaches the “run when you turn the light on” These roaches breed very quickly and can live virtually anywhere. The treatment requires an intense inside treatment and monthly follow up treatments until the problem is resolved. Our technicians can perform an intensive inspection and recommend procedures to solve the problem as quickly as possible. American and Smokey Brown roaches are often called “Palmetto Bugs” they are an outdoor roach but often times enter our homes for comfort from the outside elements. These roaches can find there way into your home around door thresholds, pipe and wire protrusions, attics and crawlspaces. Bug Depot quarterly treatment plan will treat entry points as well as void areas. We also concentrate on barrier treatments and baiting bushy areas to prevent future infestations. If you are tired of sharing your home with roaches, call Bug Depot Termite and Pest Control Today!